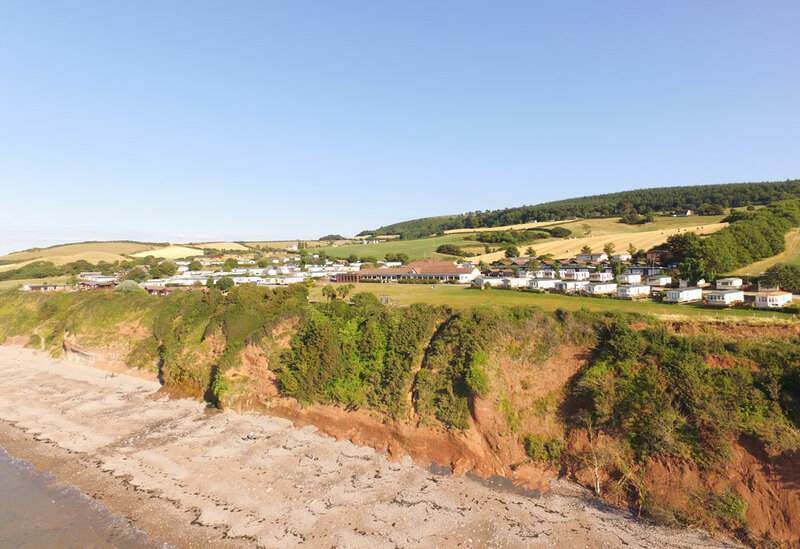 The Swift Burgundy is positioned on a fabulous plot “Quantock 6” and is in a quiet location with sea views. The Swift Burgundy offers incredibly good value for money combining practicality and timeless style. The “Spring Green” furnishings scheme brings muted soft green tones with a country classic feel. There is a mix of plan fabrics, floral and checked accents throughout. The lounge has a corner sofa with occasional bed, focal fireplace with contemporary electric fire, coffee table and scatter cushions to finish off the look. The “Shaker Style” kitchen is cream in colour and is finished off with pewter handles, creating a classic design. The appliances come fully integrated and include the microwave, fridge freezer, oven, hob and extractor. The fixed dinette seating is perfect for family dining and includes additional stools. The bedrooms are made comfortable by the “Duvalay” mattresses making sure you have a great night sleep. The rooms are finished off with “Nebraksa Oak” headboards, over bed storage and bedside shelf units. The twin bedroom has a special feature whereby, you can store one bed under the other when not in use, creating more space. NB. The photographs used here are for the 35 x 12 version, so the layout may differ slightly. Please refer to the actual layout plan displayed.